Tolna is one of the most varied and controversial counties in Hungary. Evaluations of the country are highly contrastive. 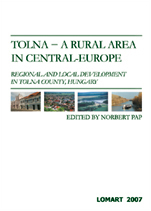 The duality of poverty and economic power, backwardness and a rich cultural heritage, easily accessible, pleasant settlements as well as increasing migration, availability of resources and favourable local conditions versus a lack of their utilisation are all characteristic features of Tolna. 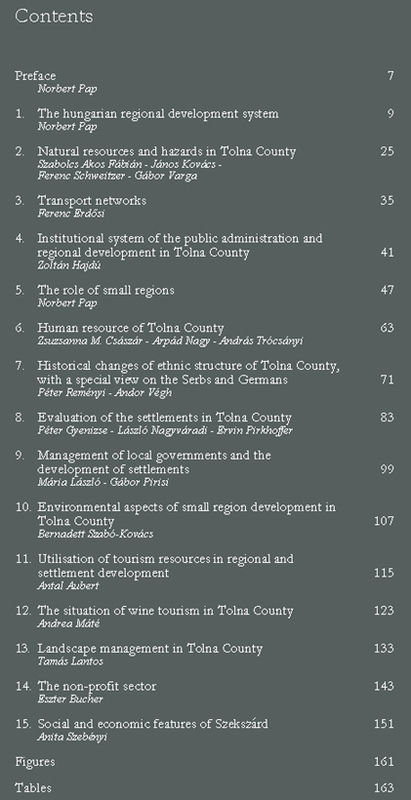 Assessing all the above dual conditions, the aim of our study is to form a realistic picture of the state of regional and settlement development in Tolna County. Based on processing considerable existing data and our own empirical research supported by statistical G.I.S. and other methods, the assessment is to promote Tolna’s awareness of its potentials, also to demonstrate the county’s features with scientific standards.